This extension allows to create content elements which act as containers for other elements. This allows to create a nested content element structure. Like assortment boxes for your content elements. So this extension is somehow a rivaling extension to "gridelements" or the flexible content elements (FCE) of the "fluidcontent" or "templavoila" extensions. This feature is often required for multi-column pages as they are often used by modern responsive website templates. In such template you have for example some content/widgets which span the whole width of the page and right below them a two-column area with a text on the left and an image on the right. 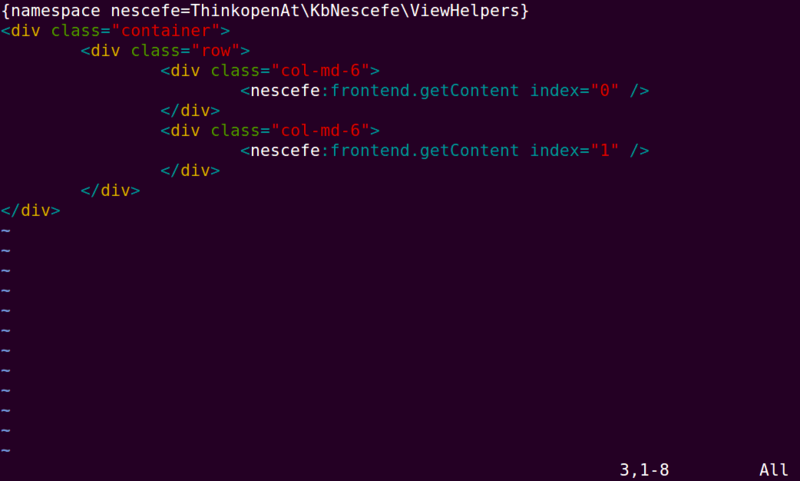 Here kb_nescefe comes into play by allowing to insert content element containers based upon templates you define. You do not have to define the content areas in some weird configuration language. You simply create BE/FE templates for your container and insert calls to the getHeader/getContent fluid view helpers in the places where you want your content to get rendered. The "Nested Content Elements" extension has now been release on forge. 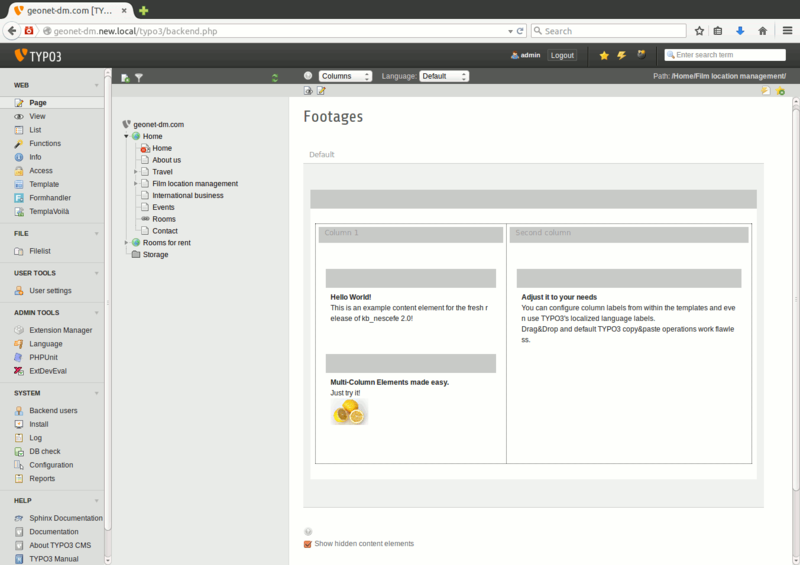 The new version works properly with TYPO3 > 4.3.0 and got internally restructured to interact with the CMS with less glitches.